Where do you make assumptions about how another person thinks or feels? We can never know with certainty how someone else thinks or feels unless they tell us. So don’t assume anything. Ask! Ask "How are you feeling?" rather than "You must be feeling angry (or frightened or sad...)"
Inquiring respectfully about another's experience opens the door to true and deep connection. Everyone wants to feel heard, recognized and understood. This is one sample of 60 Daily Smart Questions to "Developing Healthy Relationships". For more samples, see Relationship Questions to Ask Yourself. 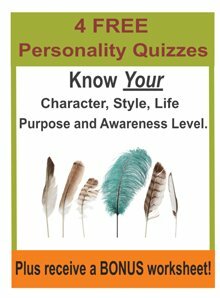 You can also choose from 6 other themes of High Level Smart Questions and Tips.